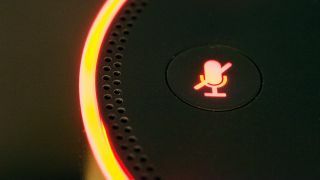 The smart speaker market is about to get one more contender as Samsung has confirmed it's working on a device to rival Amazon Echo, Google Home, and the upcoming Apple HomePod. DJ Koh, president of Samsung's mobile division, said in an interview with CNBC that the company behind the Samsung Galaxy S8 and newly announced Samsung Galaxy Note 8 is currently working on its own smart speaker. While Koh didn't provide a lot of details — for example, it's not been confirmed if the device will actually be powered by Bixby, though it's likely — he does mention the possibility of an announcement coming "soon." However, with Amazon Echo and Google Home in a fierce arms race to one-up each other, and Apple's Siri-powered HomePod arriving on store shelves this December, we hope the smart speaker market isn't too crowded in time for the supposed Vega's launch — for Samsung's sake.